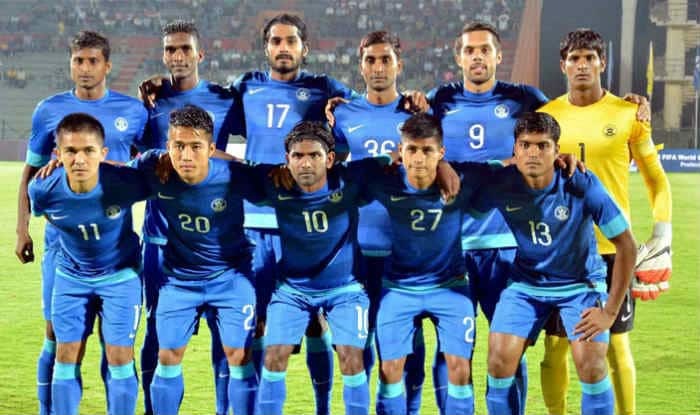 Sunil Chettri-led Indian national team continued to hold its 97th rank in the latest FIFA rankings of 2018, which released on Thursday. Belgium ended the year at the top of the rankings, one point ahead of the 2018 FIFA World Cup champions France while Spain came ninth. FIFA Rankings 2018: Sunil Chettri-led Indian national team continued to hold its 97th rank in the latest FIFA rankings of 2018, which was released on Thursday. Belgium ended the year at the top of the rankings, one point ahead of the 2018 FIFA World Cup champions France while Spain came ninth. The top-10 of the final FIFA rankings of the year were led by Belgium, while France nipped at its heels, followed by Brazil, Croatia, the 2018 World Cup runners-up, and England. Portugal, Uruguay, Switzerland, Spain and Denmark completed the top-10 list respectively, followed by Argentina, Colombia and Chile in the same order. France has gained the most points since December 2017 (165 points), ahead of Uruguay (151 points) and Kosovo (133 points). Over that period, France won 12 matches, tied four and were defeated twice.